Many Galaxy S10 users have been complaining about a battery drain issue with the handsets recently, although it seems Samsung has fixed the issue in the latest update. The Galaxy S10 battery drain issue affects models based on Samsung’s in-house Exynos 9820 SoC. As you may already know, Samsung differentiates its handsets on the basis of chips as well as models. The company uses its in-house chip for the models it sells in its home country and some international markets. In the U.S. and a few other markets, the company uses Qualcomm’s Snapdragon SoC due to some legal issues. The handsets powered by the Snapdragon SoC often perform better than the Exynos models, and the same was true of the Galaxy S10 phones as well. Several benchmark tests have already confirmed this and found a significant difference in the battery performance of the two models. The reason for such a difference in battery performance was not clear until users also started complaining about the Galaxy S10 battery drain issue. A few investigative users found that the battery issue emerges after they use a VoIP service via apps such as WhatsApp and Skype. “I can confirm that… After finding why I have massive standby drain and blame few apps for that, now I know this is an issue with Voip calls. Reported trough Members app already,” one affected user said. What’s causing the Galaxy S10 battery drain issue? The issue is affecting the regular Galaxy S10, Galaxy S10+ and Galaxy S10e powered by the Exynos SoC. 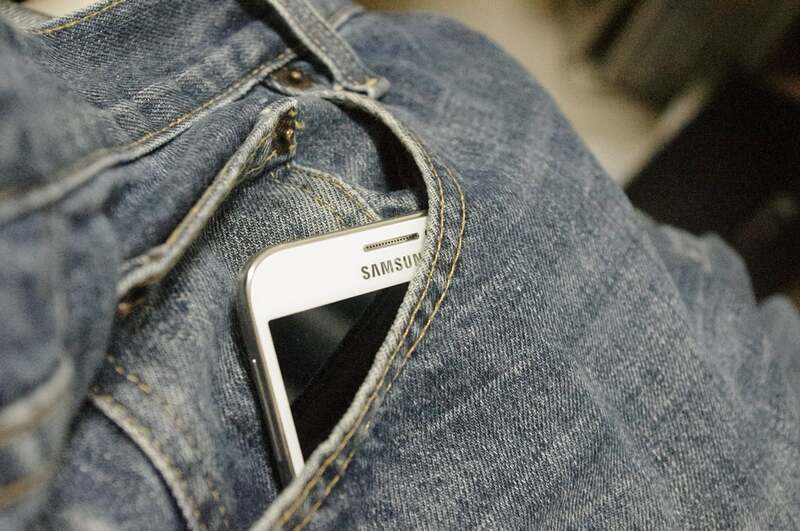 Affected users raised the issue on Samsung’s product forums and social platforms like Reddit. After some hard work, some discovered that the issue is with idle mode, which wasn’t working as intended after they used a VoIP service. There is a major issue with Galaxy S10 family, Exynos variant, where after entering VoiP call (WhatsApp, WeChat call etc), phone will fail to deep sleep until next restart. It is killing standby battery and would really help if you can bring this issue to light. After Galaxy S10 owners use apps such as WhatsApp or Facebook Messenger to make or receive a VoIP call, a bug prevents the handset from going into deep sleep mode. Even using voice messages triggered the bug in some cases. “Does anyone else see an issue where WhatsApp reports sensor usage 100% of the time? I don’t even make calls but see it,” one user said on the XDA Developers forum. In addition to the VoIP service, the bug also appears to be triggered by an issue with the proximity sensor which prevents the phone from entering deep sleep until it is restarted. Since the phone is unable to go into deep sleep mode, the CPU keeps performing at a higher level even when the phone is idle. This causes the battery to drain faster than usual. Even though the Galaxy S10 battery drain issue is widespread, it wasn’t reported by all Galaxy S10 owners with Exynos-powered models. A possible reason for this is could be that unaffected users depend more on regular calls than on VoIP services. Until now, the only available workaround was to restart the phone after every VoIP call. “The bug is triggered AFTER entering a VoiP call such as WhatsApp call or Skype, at which point the phone will continue to fail to deep sleep until the next restart,” one user said. However, restarting any normal phone frequently drains the battery faster, so the best workaround many thought of was to avoid VoIP services as much they could. Has Samsung fixed the issue? Even though so many users have been reporting the Galaxy S10 battery drain issue, Samsung has been quiet about it so far. It didn’t even acknowledge the issue until a couple of days ago. Now it seems the company has fixed the issue with the latest update according tech site PiunikaWeb. Many users who installed the ASC8 build confirmed that they are not facing the Galaxy S10 battery drain issue any more. “OK guys so installed the new firmware and cleared cache, it went to deep sleep normally then i tried to make a whatsapp call and GUESS WHAT ??????? it went to deep sleep again normally wooohoooooooo, i can confirm the nasty bug is fixed,” one user said. Hopefully this new update will fix the battery drain issue for all affected users. If you still face the problem after installing the latest update, register a formal complaint with Samsung. It is not known if the update fixes the problem with the proximity sensor which keeps the screen on when in a pocket or a bag. The issue with the proximity sensor affects both Exynos and Snapdragon models and results in battery drain as well.